Rumpke construction is in full swing. Overhead MEP and interior framing work have started on all three floors. 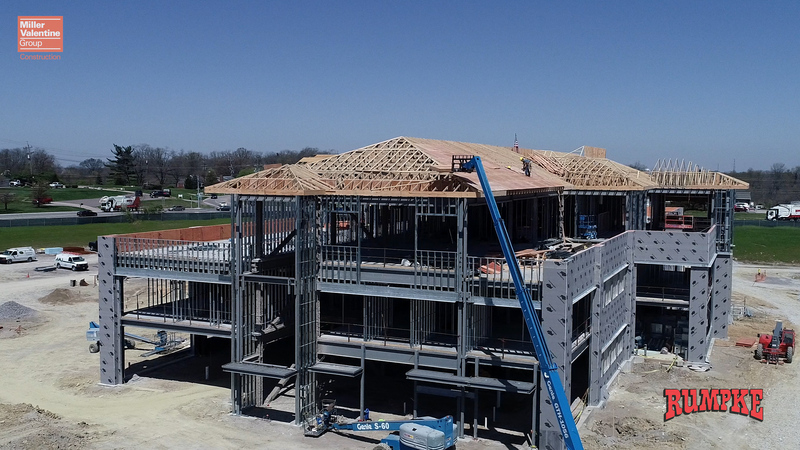 Roof trusses are installed and are in the process of being sheathed. Masonry, roofing, and the last interior slab all will start in the next week. Site utilities are completed. Site electric and asphalt paving have started. The 74,000-square foot, three-story office building will be located on the corner of Colerain Avenue and Struble Road.